Developed through collaboration with microbiologists at University of Portsmouth with funding and support from SCAN, Arts Council England, and University of Portsmouth. The media reports on nanoscience technologies ranged from suggestions that scientists were exploring in such a way that the physical world could be turned into ‘grey goo’, or that people could live hundreds of years, raised questions of accuracy of the reports as well as ethics of the research. 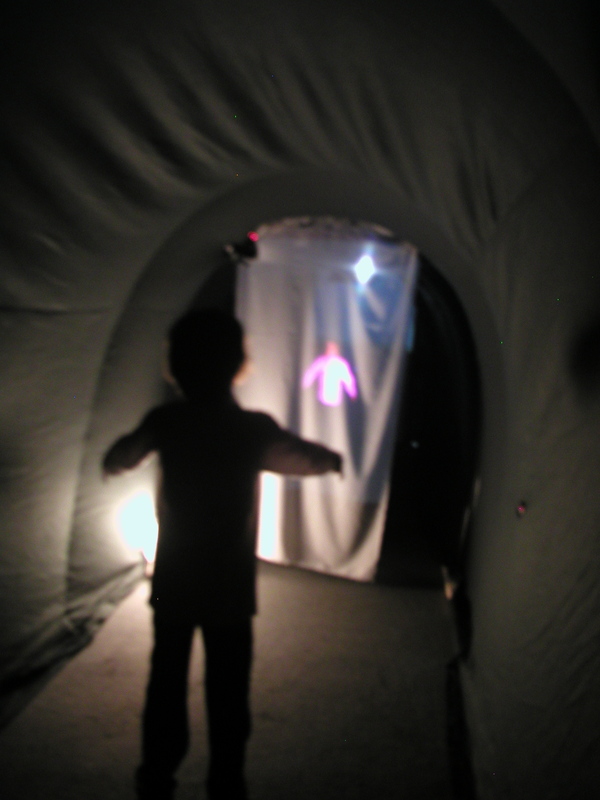 The focus for the project was scale and imagination, considering the relative experienced understanding of scale, and the human imagination in response to an immersive experiment. As participants walked through the tunnel, their image was recorded and projected with a time delay onto screens inside, as they walked through the image size was reduced according to distance travelled. 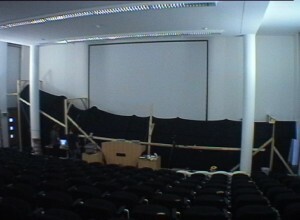 Sound and image capture was played as they broke light sensor beams. Participants had no control of their environment or image, the tunnel representing metaphors of birth and death of the ‘self’. 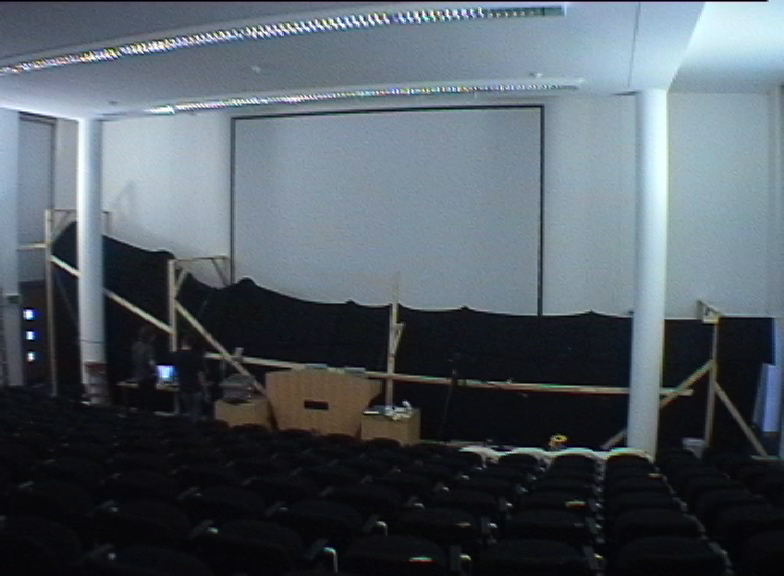 14m tunnel constructed of carbon rods, black felt, timber, sensors, screen fabric, cameras and video projectors. Digital interface created with Max/Msp Jitter.